This book analyses initiatives and concepts initiated by China, Japan and South Korea (the Republic of Korea) towards Central Asia to ascertain their impact on regionalism and regional cooperation in Central Asia. 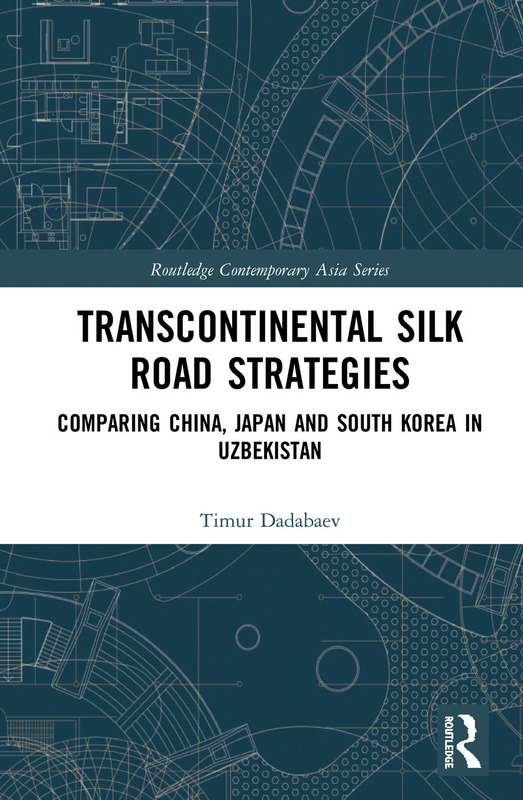 Using the case study of Uzbekistan, the book focuses on the formation of the discourse of engagement with the region of Central Asia through the notion of the Silk Road narrative. The author puts forward the prospects for engagement and cooperation in the region by analysing initiatives such as the Eurasian/Silk Road Diplomacy of Japan of 1997, the Shanghai Process by China, Korean corporate offensive, and other so-called Silk Road initiatives (One Belt One Road, OBOR or the Belt and Road Initiative, BRI). The book argues that material factors and interests of state are not the only motivations for engagement with Central Asia. The author suggests that cultural environment and identity act as additional behavioural incentives for the states’ cooperation as these factors create a space for actors in global politics. The book deconstructs Chinese narratives and foreign policy towards smaller states and presents a more balanced account of Central Asian foreign policy by taking into account Japanese and South Korean approaches to Central Asia. This book encourages wider theoretical discussions of Central Asian-specific forms of cooperation and relationships. It provides a timely analysis of Central Asian International Relations and is a helpful reference for researchers and students in the fields of international relations, security studies, Asian politics, global politics, Central Asian Studies and Silk Road studies. Timur Dadabaev is an Associate Professor and Director of the Special Program for Japanese and Eurasian Studies at the Graduate School of Social Sciences and Humanities, University of Tsukuba, Japan. His latest publications include Identity and Memory in Post-Soviet Central Asia (Routledge, 2015) and Japan in Central Asia (2016). The aim of this series is to publish original, high-quality work by both new and established scholars on all aspects of contemporary Asia.